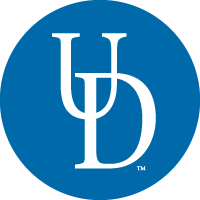 Three Nobel laureates are visiting UD in April, delivering separate lectures focused on research and interacting with students, faculty, staff and the community. Two UD researchers have developed a new approach to attack cancer, using two light-activated treatments that appear to be more effective than when applied independently. Tatyana Polenova, professor of chemistry and biochemistry, has been named a fellow of the International Society of Magnetic Resonance for her groundbreaking research. ​Professor of chemistry and biochemistry, received the Outstanding Doctoral Graduate Advising and Mentoring Award. He was called one of the best in his field – anywhere – and a "pillar of the graduate program," serving on 43 dissertation committees.